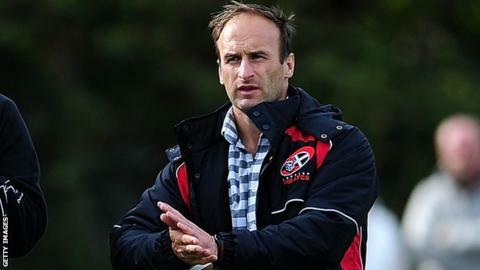 Cornish Pirates coach Gavin Cattle says inconsistent results are not a surprise because of their young squad. The Pirates lost by their largest-ever margin in the Championship at Worcester last weekend, but have won five of their last nine games. "We've got some experienced players that we need to manage. "Playing week in week out is not a possibility for those boys, so that gives an opportunity to the youngsters," Cattle told BBC Cornwall. "Then in terms of levels of knowledge and game awareness, you tend to lose that a little bit, but what you do get is energy. "So, you're going to get inconsistencies when you have those imbalances in the squad." Catlle believes experienced players such as Laurie McGlone and Alan Paver, who are both back in the side for Friday's trip to London Scottish, are important if the club are to succeed. "Having the senior boys in there, they tell the story themselves, they drive it and the youngsters have to live up to those expectations," he said. "It's a really good working environment, but in terms of performance, where we're at in the learning phase, you're going to get inconsistencies, we just have to be patient with that. "But under pressure we have performed, the games that have had pressure riding on it we've performed really well, which is pleasing from a coaching point of view."